There have been various incidents over the years in which Apple has earned the distrust of its customers. Apple Maps. The 2010 antenna controversy. The battery-throttling that came to light last year. But according to a recent survey, it appears Apple is much more trusted by customers than certain other tech giants. A Recode survey released Tuesday asked American respondents which tech companies are trusted the least with your personal information. In the survey, 56 percent answered Facebook. Google was a distant second, with 5 percent, with Uber and Twitter each getting 3 percent. As for Apple, it tied for sixth with two other companies, Snap and Amazon, with just 2 percent. Recode added that 20 percent selected none of the above. 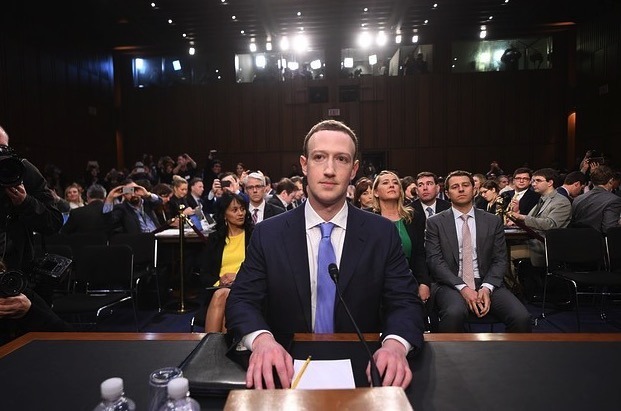 The survey is certainly a sign that Facebook is in a heap of trouble, as result of missteps by CEO Mark Zuckerberg and other decision makers when it comes to data security and transparency. It also indicates that, at this moment, user trust in Apple is relatively high, and that the throttling controversy hasn't had a long-lasting effect. But it's also clear that there's some recency bias at work here. A major reason for Facebook ranking so highly in this survey is that Facebook is currently all over the news for things it has done to earn user distrust, a controversy that is fresh in everyone's mind. If the survey had been taken during the height of the Apple throttling story, or the day after some flashpoint in last year's Travis Kalanick brouhaha at Uber, the survey results may very well have turned out quite a bit differently for those companies. A survey by The Verge last October, while not precisely the same question, found that around 15 percent each answered that they "greatly distrust" Facebook and Twitter, while around ten percent gave that answer for Apple. In 2013, Apple dropped out of the top 20 in the Ponemon Institute's ranking of most trusted companies in terms of privacy. Apple periodically suffers in public polling from the "never Apple" crowd in surveys such as these.